SIM Arizona is committed to encouraging the pipeline of young students into the STEM workforce. Join us on the STEM Outreach committee to further the IT profession in the eyes of our community. Dan Mazzola, Director of Education. SIM Arizona is proud to offer scholarships to young professionals pursuing an undergraduate degree in Computer Information Systems and/or Business Analytics through the W. P. Carey School of Business at Arizona State University. 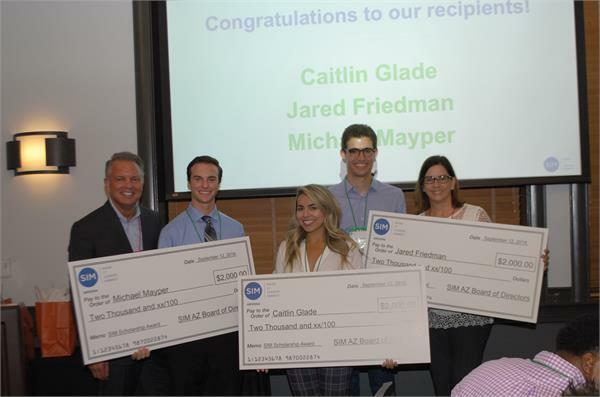 In partnership with the Department of Information Systems at the W. P. Carey School of Business, AZ SIM evaluates top scholarship applicants and awards scholarships to deserving individuals on an annual basis.